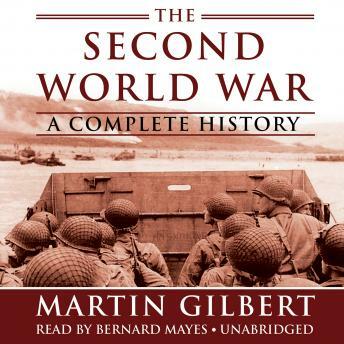 Martin Gilbert, the official biographer of Winston Churchill, here offers a complete history of World War II. It began with the German invasion of Poland on September 1, 1939. By the time it came to an end on V-J Day—August 14, 1945—it had involved every major power and become global in its reach. In the final accounting, it would turn out to be, in both human terms and material resources, the costliest war in history, taking the lives of forty-six million people. With unparalleled scholarship and breadth of vision, Gilbert weaves together all of the war’s aspects––the political, the military, the diplomatic, and, not least, the civilian––charting an almost day-by-day account of the terrible progress of the war’s juggernaut of death and destruction. Through it all, his aim is to show what happened, not from the point of view of any one of the warring nations but from a global perspective. The result is the first total history of this global war, a work that is both a treasure trove of information and a gripping dramatic narrative.